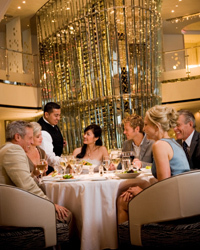 Celebrity Cruises offer 5* luxury cruise ships and are suited for 40+ professional clients. 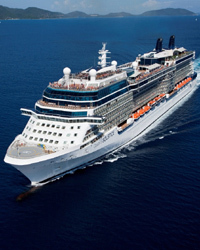 Celebrity cruises have won a number of awards including best premium cruise line for 4 years in a row and best Ex-UK ship for 2014 (Celebrity Eclipse), thanks to award winning dining, stunning ships, contemporary on board entertainment, unparalleled service and accommodation that makes you feel like you are the centre of the universe! Asia, Australia & New Zealand, Bahamas, Bermuda, Canada & New England, Caribbean, Europe, Galapagos, Hawaii, Pacific Coastal, Panama Canal, South America, Transatlantic & Transpacific.